Heavy-duty bias ply construction for excellent durability and tread flexibility. 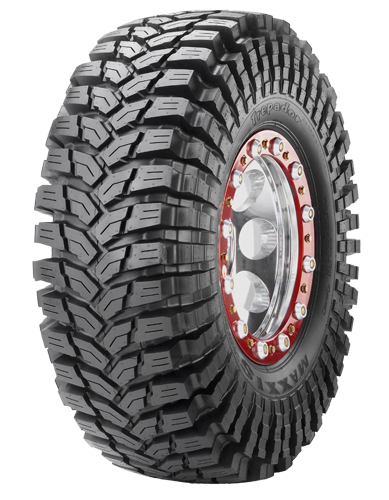 Multi-curve tread siping improves traction on loose dirt and slippery terrain. Unique tread element arrangement ensures a uniform tread contact area for maximum road contact. Aggressive side lug design provides improved side-bite on difficult off-road and rocky terrain. Nylon belt-reinforced tire construction improves puncture resistance and durability. Recommended maximum speed of 65mph.